When you think about it, crepes are the ultimate pancake hack ever invented. They’re super easy to make. The sweet or savory filling options are practically endless and can be made for breakfast, lunch, dinner and dessert. And a bonus: They’re so pretty when topped with powdered sugar, berries, fruit or even chocolate sauce. I especially like that they’re made with basic pantry ingredients that are generally on hand. 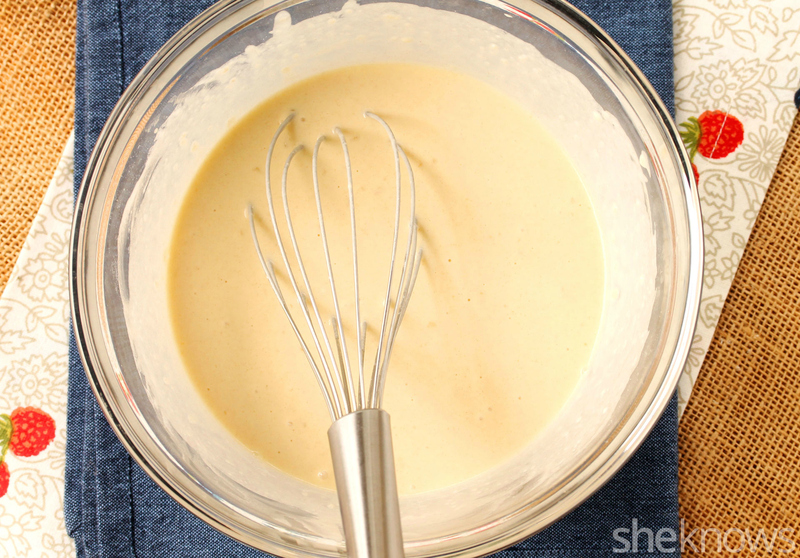 To prevent lumps in the batter, combine the ingredients either in a blender or whisk in a bowl, then strain. I like to go the bowl route and strain the batter because I’d rather wash the strainer than the blender. But feel free to mix the ingredients either way. 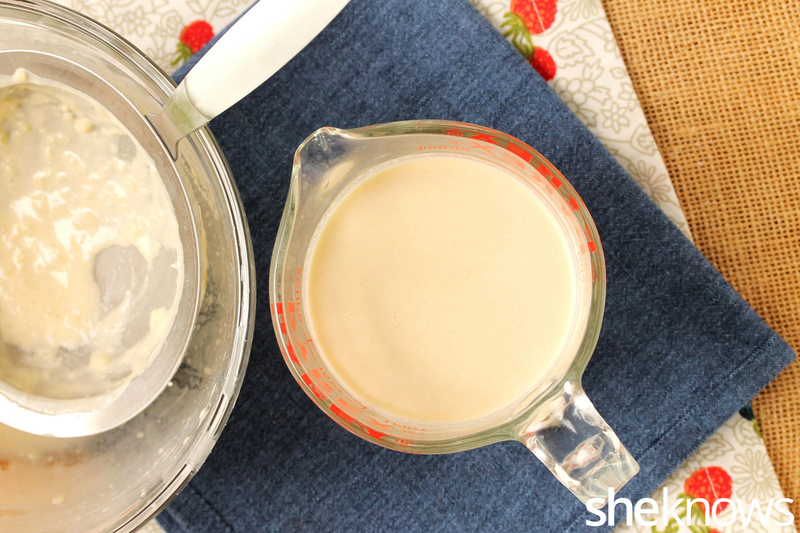 In a medium-size bowl, add all of the batter ingredients: flour, sugar, salt, milk, eggs and melted butter. 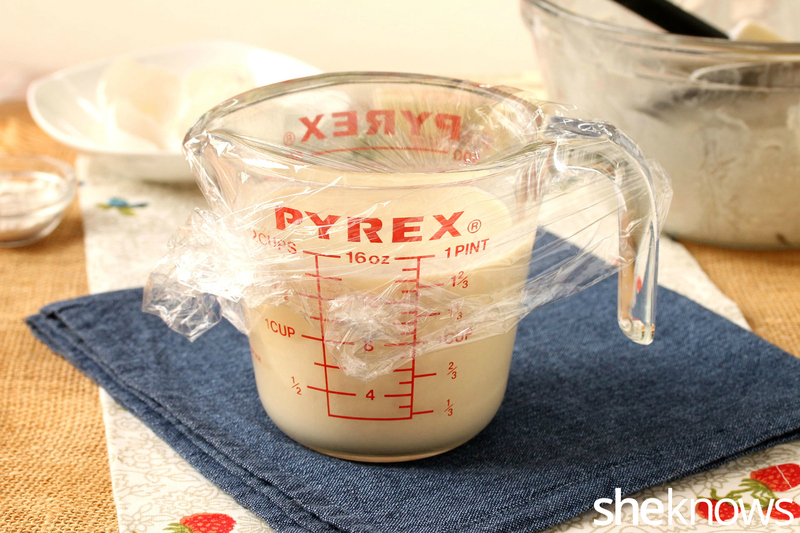 Then strain the batter into a small pitcher or pouring measuring cup. Cover with plastic wrap and chill in the refrigerator for an hour. This will help prevent the crepes from breaking apart while cooking. 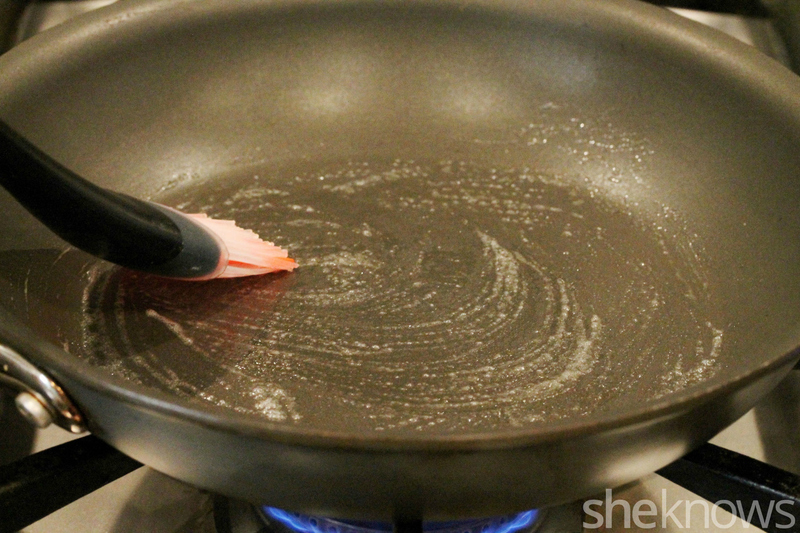 Heat a non-stick skillet on medium heat and spread the butter in the bottom of the pan using a heat-resistant cooking brush. 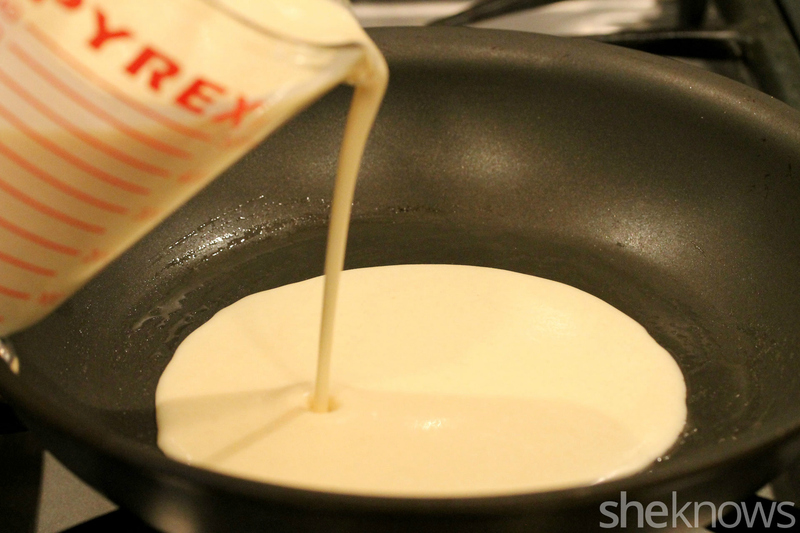 Pour the batter in the pan so that it fills up only 1/2 to 3/4 of the diameter of the bottom of the pan. Tilt the pan in various directions to spread the batter over the total area in the bottom of the pan. The crepe will cook very quickly. 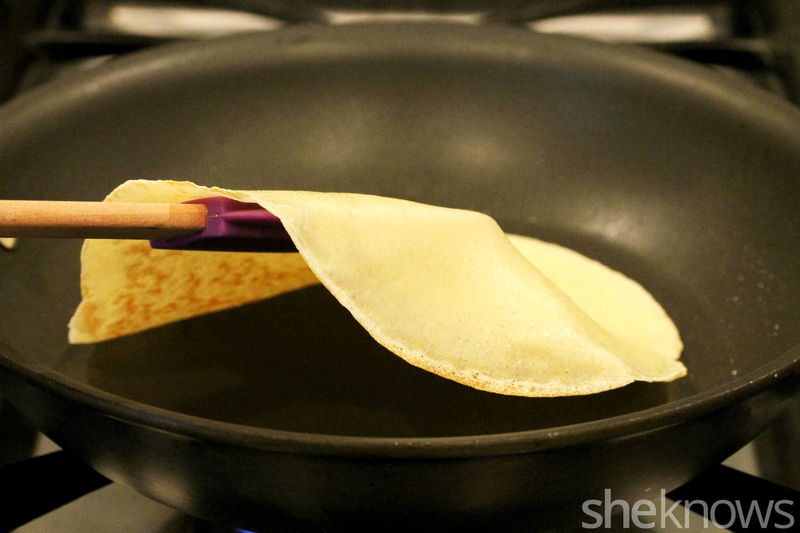 After about 30 seconds, lift the edges of the crepe using a heat resistant spatula (I like to use the rubber kind) and flip it over. 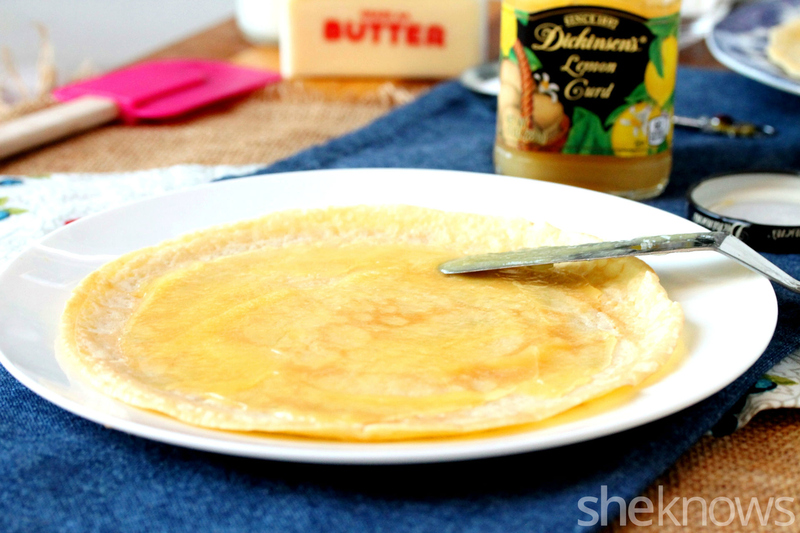 If using a non-stick skillet, no need to add any more butter to the pan after making the first crepe. Transfer the crepes onto a large plate. I generally don’t put wax paper in between each crepe, but it’s an option if you like. Let the crepes completely cool before adding the filling. 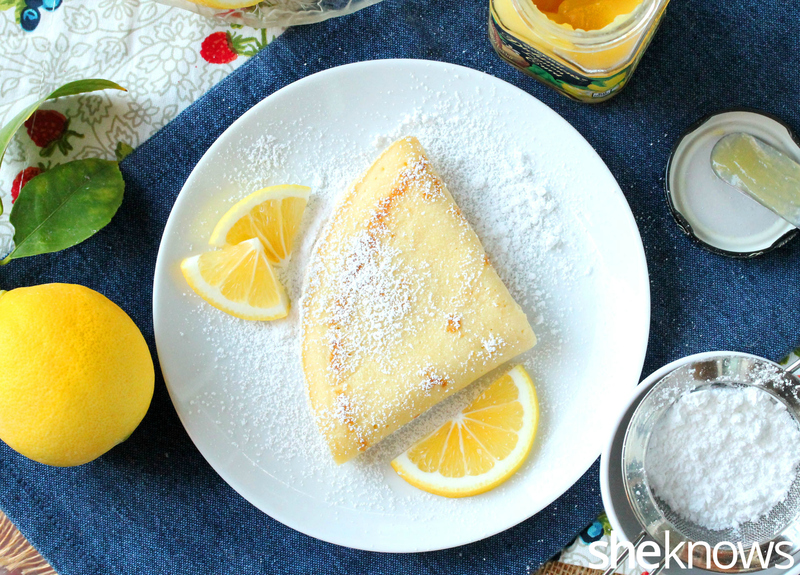 An option is to fill the crepe with a thin layer of lemon curd. This is the same filling that is used in lemon meringue pie and can be purchased ready-made, generally by the jams and jellies in the grocery store. 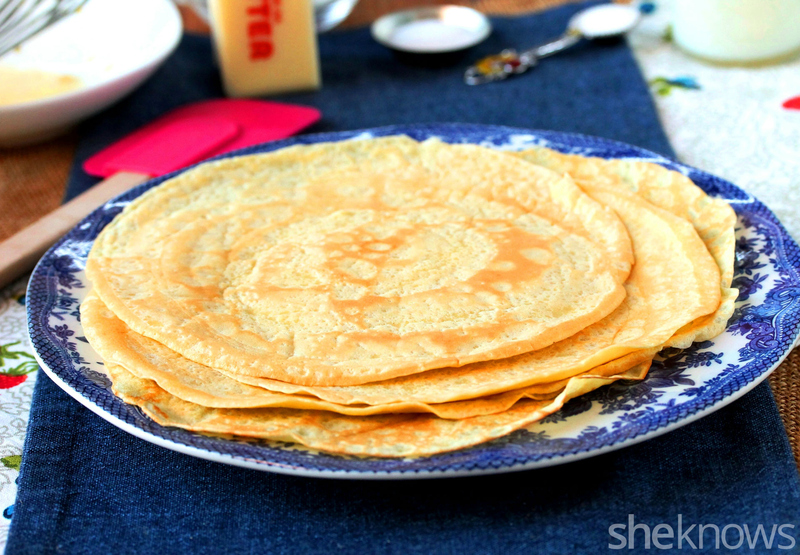 A pretty way to serve a crepe is folded in quarters. First fold the crepe in half, then fold it in half again. 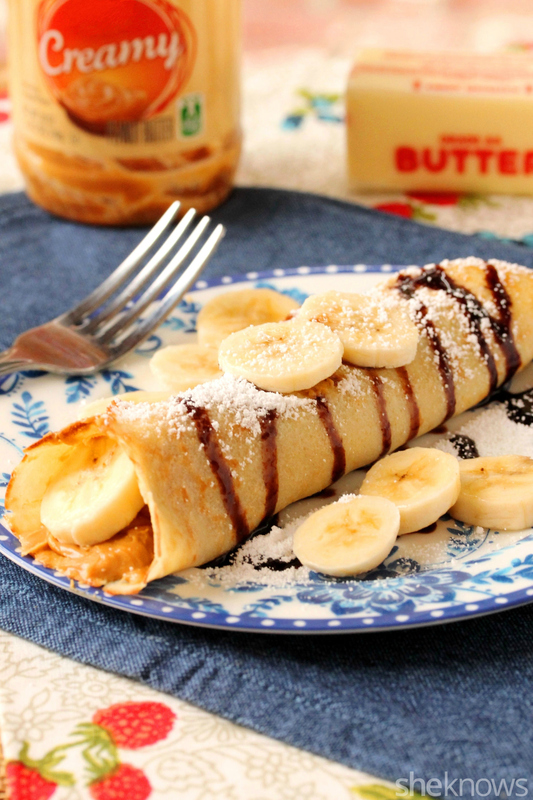 Another option is to fill a crepe with peanut butter, or Nutella, and bananas and serve it rolled. 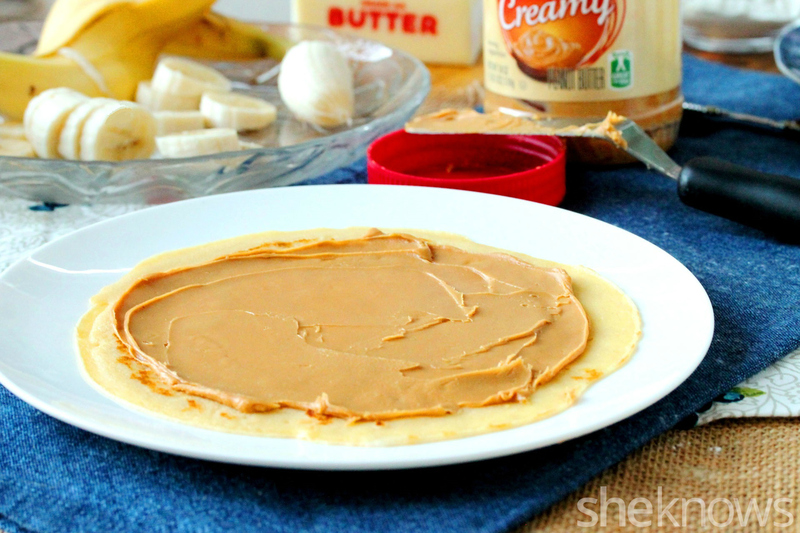 Spread peanut butter (creamy or chunky) on the crepe and add sliced bananas. 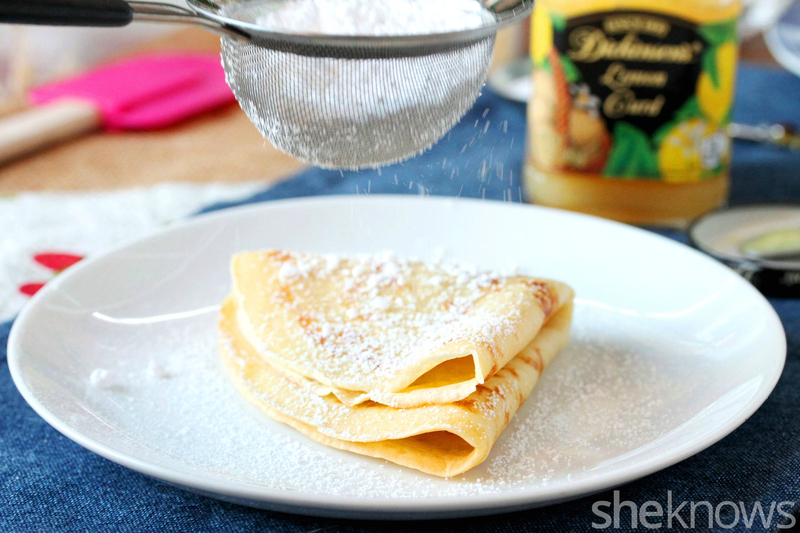 Then roll the crepe, top with powdered sugar and dig in. 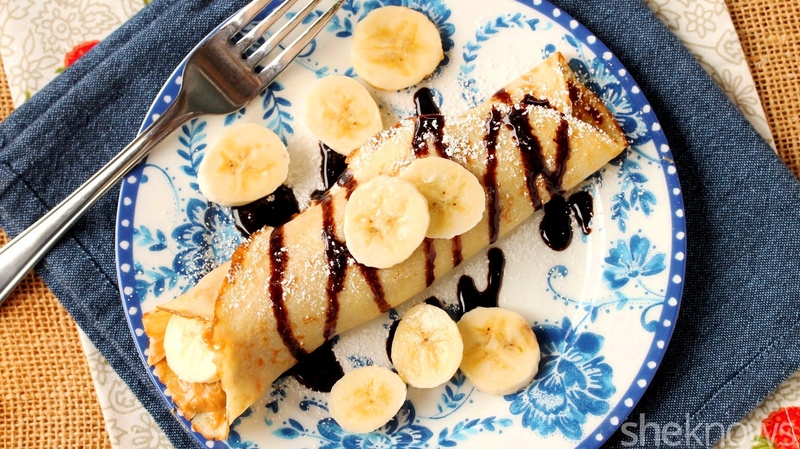 For fun, add drizzles of chocolate sauce on top of the crepe. What a great way to start the day. 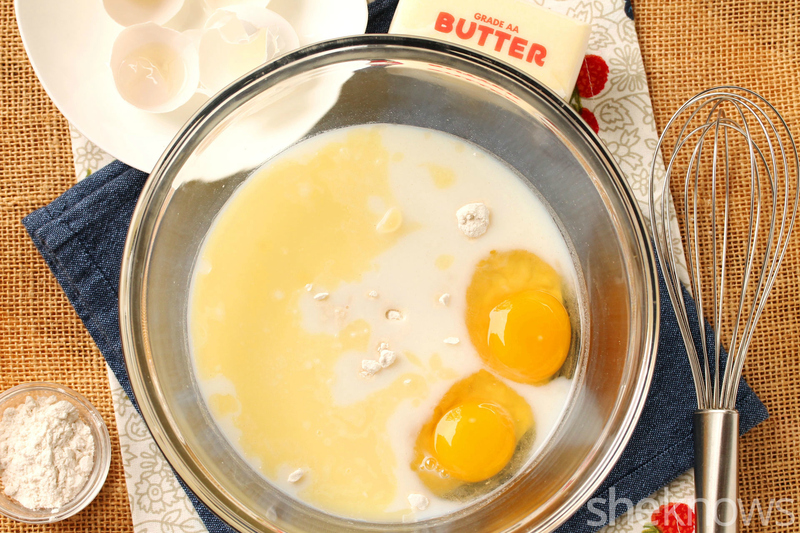 In a medium-size bowl, add all of the batter ingredients: flour, sugar, salt, milk, eggs and melted butter. Whisk together. Using a fine mesh strainer, strain the batter into a small pitcher or pouring measuring cup (alternatively, in a blender, add all ingredients and blend until incorporated). Cover with plastic wrap and chill in the refrigerator for 1 hour. This will help prevent the crepes from breaking apart when cooking. The crepe will cook very quickly. 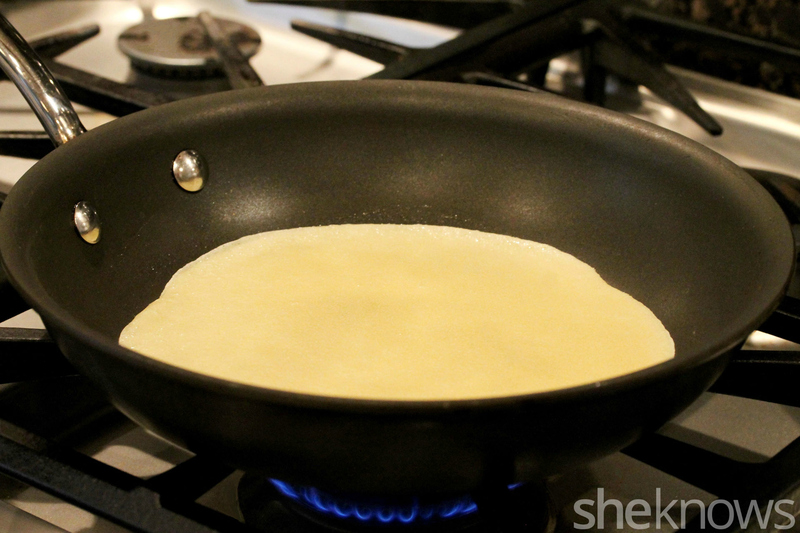 After about 30 seconds, using a heat resistant spatula (such as the rubber type), lift the edges of the crepe and flip it over. 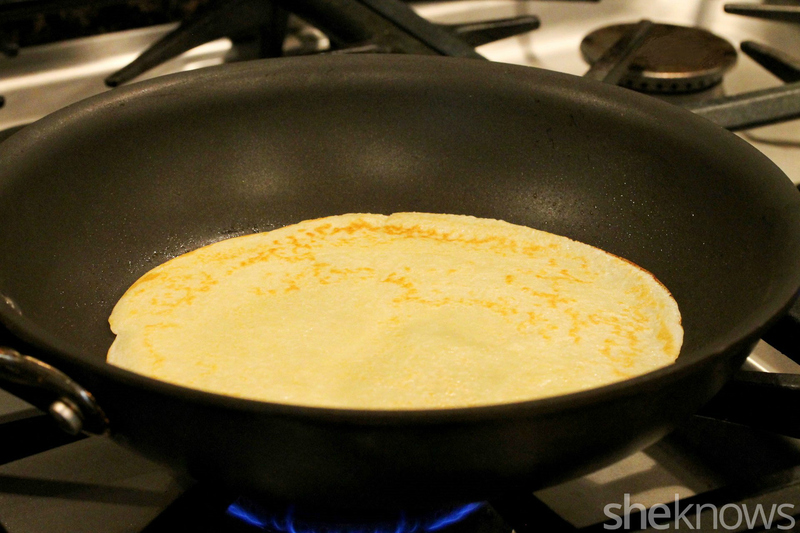 If using a non-stick skillet, no need to add more butter to the pan after making the first crepe. Transfer the crepes onto a large plate. 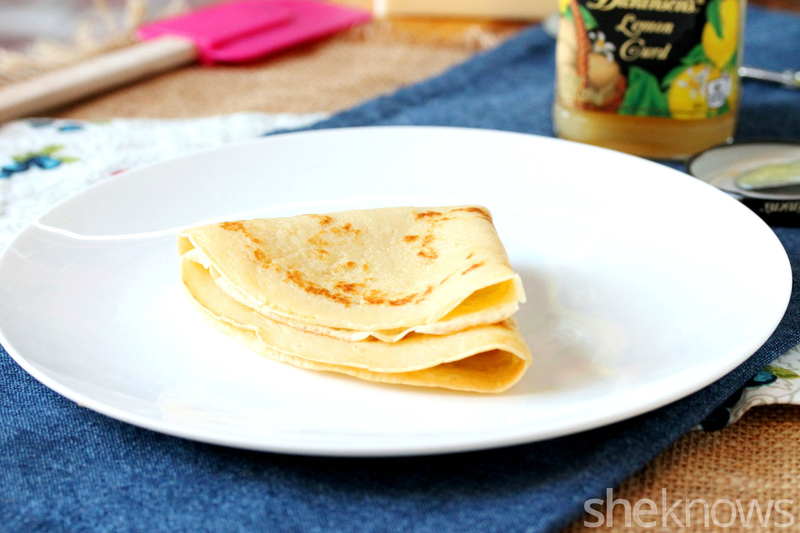 The crepes should not stick together, but, if preferred, pieces of wax paper can be inserted between each crepe. Let the crepes completely cool before adding the filling. 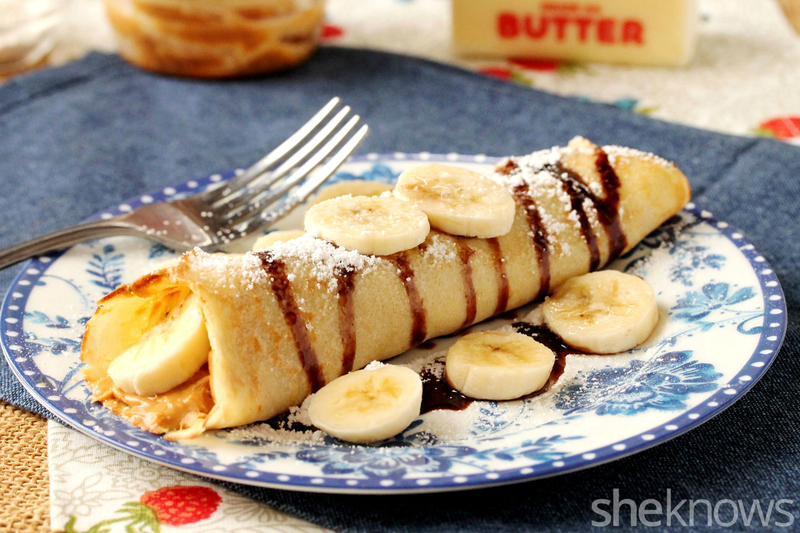 Fold or roll the crepe with the fillings and garnish with toppings such as powdered sugar, chocolate sauce or the topping of your choice. 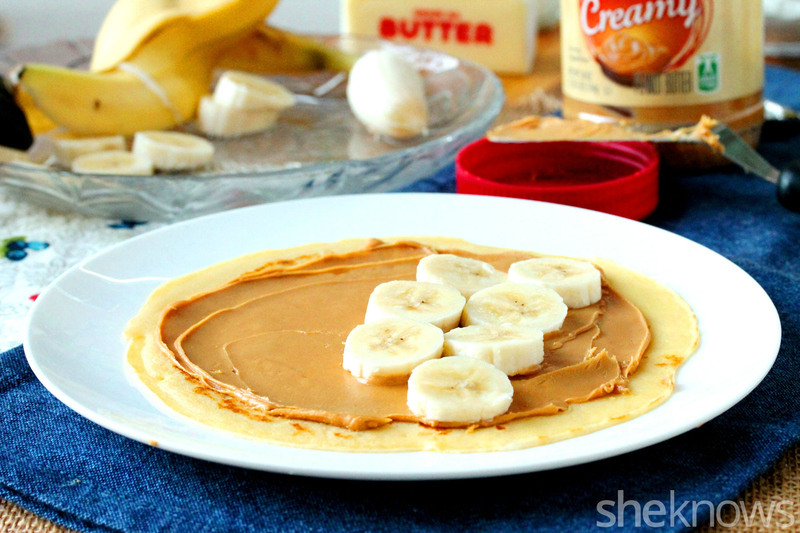 On top of the crepe, spread peanut butter or Nutella. 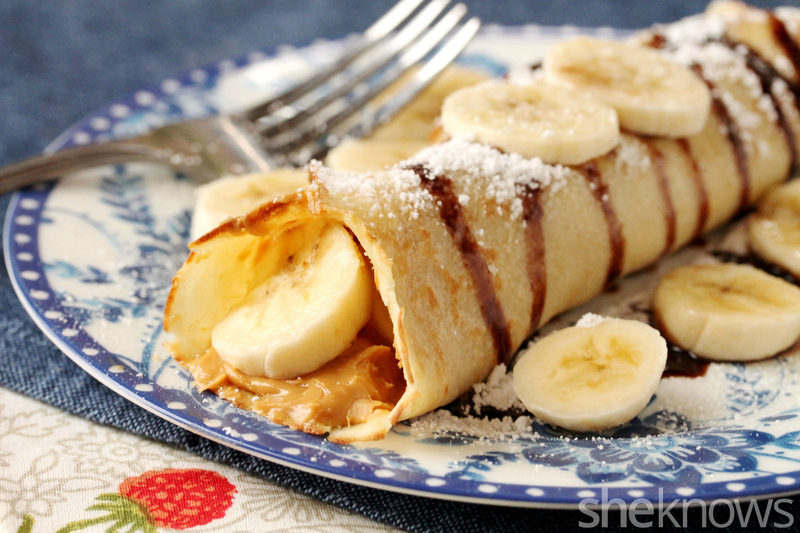 Add sliced bananas towards one end of the crepe in a row. 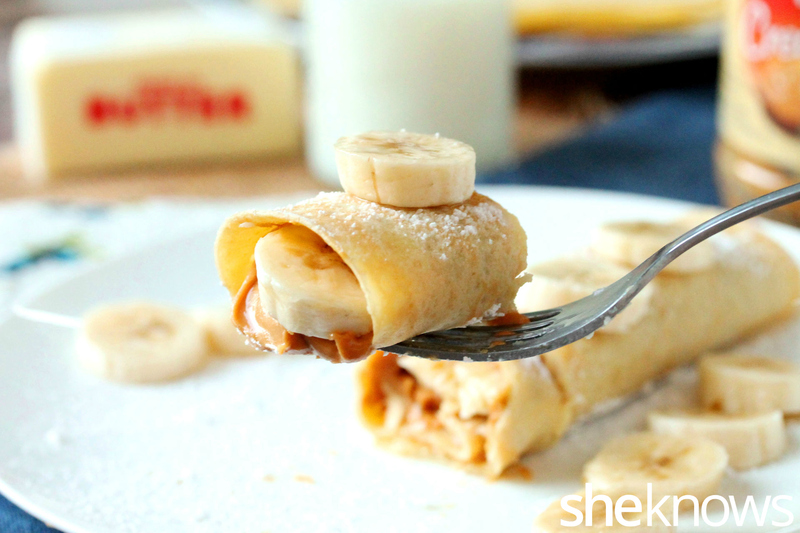 Roll the crepe, starting with the end where the bananas are. 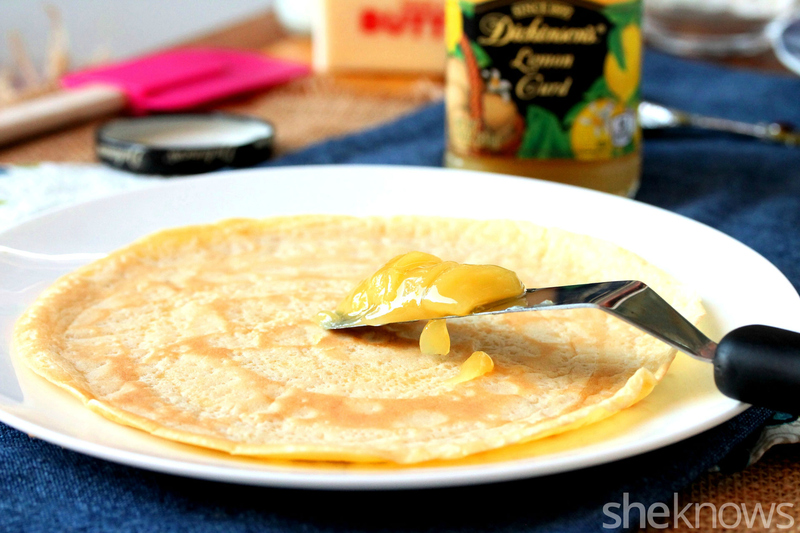 On top of the crepe, spread lemon curd. 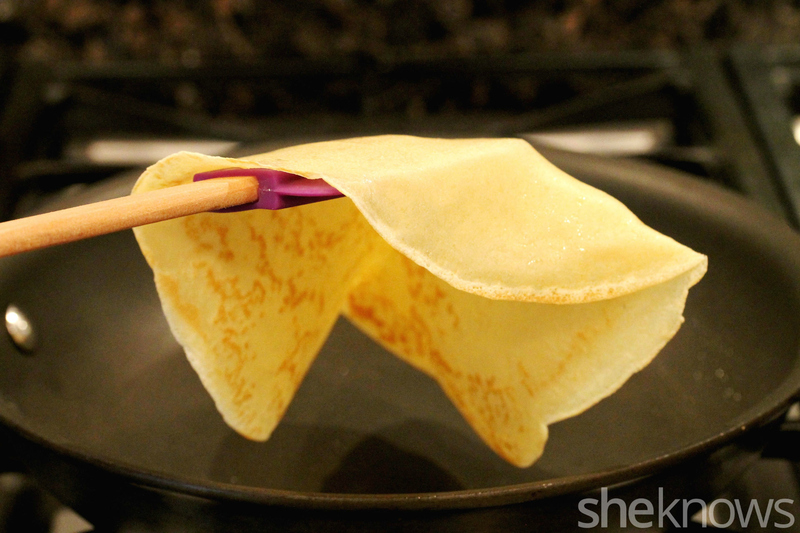 Fold the crepe in half, and then in half again.